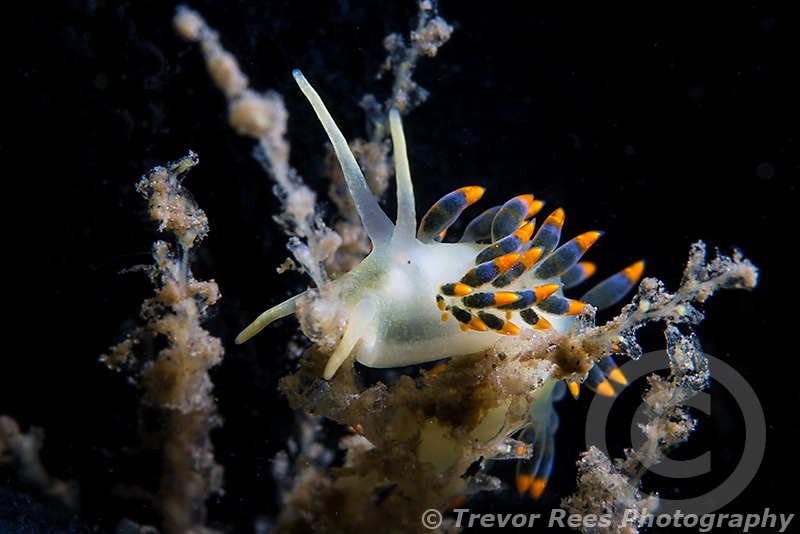 Cuthona caerulea is one of the more colourful nudibranch species in British waters. This small 'nudi' seems to have no common name and is also named Trinchesia caerulea. Photographed whilst hard boat diving out of Eyemouth on the North East coast.